Wondering what is the best time to visit Chicago? 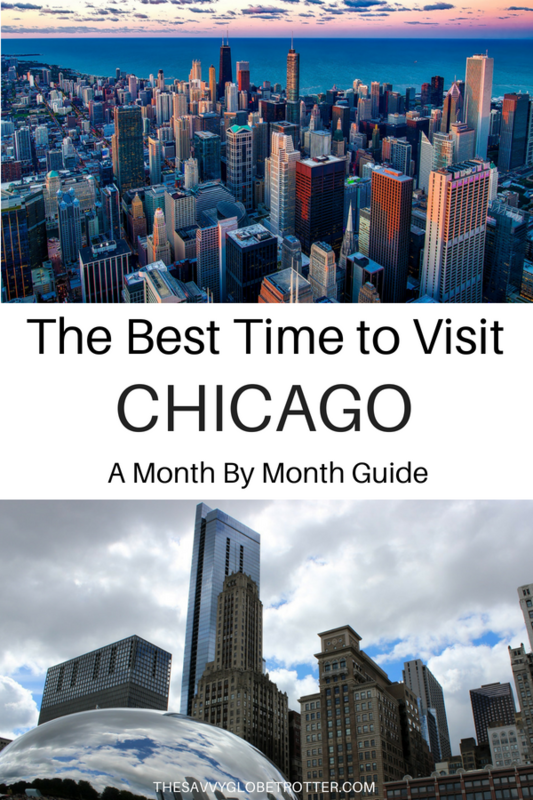 I have lived in Chicago for most of my life so I’ve put together a month by month guide to help you figure out the best time to go to Chicago depending on your interests and weather preferences. I have broken down the best time of the year to visit Chicago by season and even further by month based on weather and festivals and events. Finally, I have a summary of the best time to visit depending on your interests and my overall top pick for most people. Not sure what season to go to Chicago? Here are some pros and cons about visiting Chicago in each of the four seasons. Once you have a general idea of what season you would like to visit, check out my month by month guide. RELATED – Take a look at A Local’s Guide to 48 hours in Chicago for the best things to do in Chicago year round, what to eat and where to stay. Spring is generally a great time to explore Chicago as temperatures start to increase making it more pleasant to walk around and sightsee. However, early spring weather can be very unpredictable, the temperatures can be more moderate and pleasant or they can be a continuation of winter. Pros: Weather starts to warm up making it easier to walk around to explore. Cons: Spring weather is unpredictable so you might still encounter winter weather especially in March and early April. Tourism starts to pick up in mid March for spring break and St. Patrick’s Day events. Even if the temperature is warmer, it might rain so bring an umbrella. Summer is the busiest and the most popular time to visit Chicago and usually has great weather (but some days can be very hot and muggy). The nice thing about visiting in the summer is that are always festivals, concerts and events going on around the city in the summer. Pros: There are tons of festivals, concerts and events happening in the summer. The weather is warm enough to go to the beach and spend time outdoors. Cons: Some days the weather can be hot and humid, very busy with tourists so attractions are more crowded, higher prices, crime rate is higher. Fall temperatures vary and can be less predictable but fall is usually the best time to visit in terms of good weather – the weather is usually more pleasant (still relatively warm and less likely to rain). 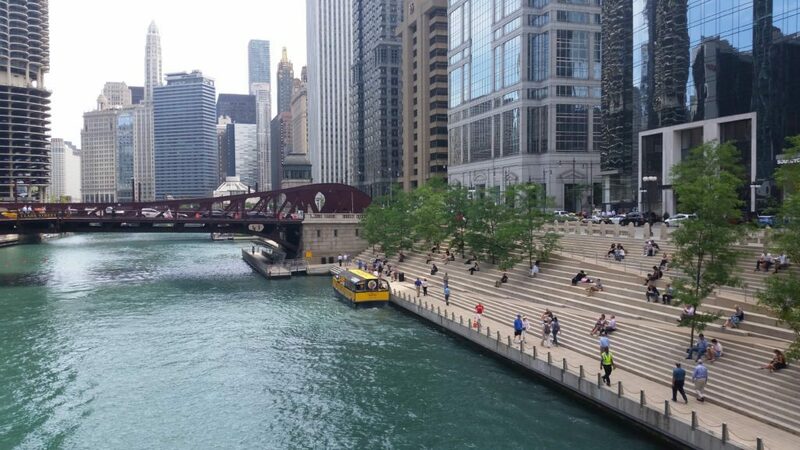 Visitors to Chicago in early autumn (September and early October) can still enjoy many of the same outdoor activities that you can enjoy in the summer (architecture river cruise, outdoor festivals, the beach, dining at outdoor patios and rooftops) without the crowds. Late Autumn (late October and November) might still be warm as well but even if it is cooler it is usually very pleasant. Cons: No cons but weather is unpredictable so you might get a cold fall. Chicago can be brutally cold- think below freezing temperatures and snow –but not always. Some years winters can be mild and even on a colder winter some days can randomly be mild or warm. 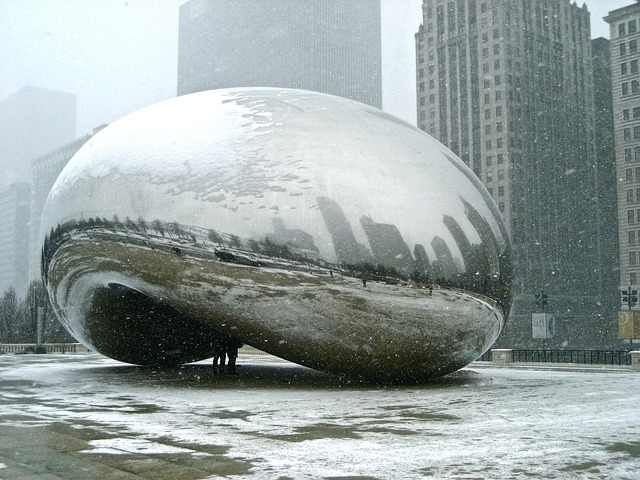 For those that hate cold weather, I would probably avoid Chicago in the winter if you are able to visit another time. 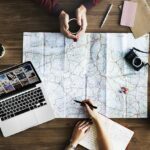 But if winter is your only option even if you don’t enjoy cold weather, there are plenty of things to do indoors in the winter (museums, great restaurants, tall buildings, shopping, theater, comedy clubs and more). If you are able to plan a visit more last minute, check the weather forecasts and book a trip if the weather is more mild. However, if you don’t mind the cold, Chicago is a great place to visit in the winter as it is less crowded with tourists so everything will be less busy except between Thanksgiving Day and Christmas when people visit Chicago for holiday events and holiday shopping. Even if you don’t mind cold and snow, keep an eye on the forecast for major snowstorms which happen once or a few times each winter. They can make it difficult to get around and you might have to deal with flight cancellations on your way into or out of town. Pros: Lower prices on accommodation in January and February. This is low season so everything is less crowded (except right before and during the holidays). Cons: Weather can be cold and snowy (but you might get lucky and get pleasant temperatures), river and lake is frozen (no architecture cruises, boat rides etc. ), hard to enjoy outdoor activities. Hopefully you now have a general idea of the season you want to visit Chicago. If you want to narrow it down further, here is a month by month guide based on weather and festivals and events (for more festivals and events check out this listing of all the festivals and events in Chicago. January is usually the coldest month in Chicago. The temperature will most likely be below freezing and there might be snow on the ground. However the last few years, January has been more mild so it is not rare to get lucky and have days where the temperature is in the 40s or even 50s. If you do not like cold weather, January is not a great time to visit. This is one of the two months with the fewer tourists and lower prices on hotels. February is usually the second coldest month in Chicago. The temperature might be below freezing and there might be snow on the ground. However the last few years, February has been more mild so it is not rare to get lucky and have days where the temperature is in the 40s or even 50s. If you do not like cold weather, February is not a great time to visit. This is one of the two months with the fewer tourists and lower prices on hotels. March weather is very unpredictable. The weather might start warming up or you might still encounter winter weather and even snow. 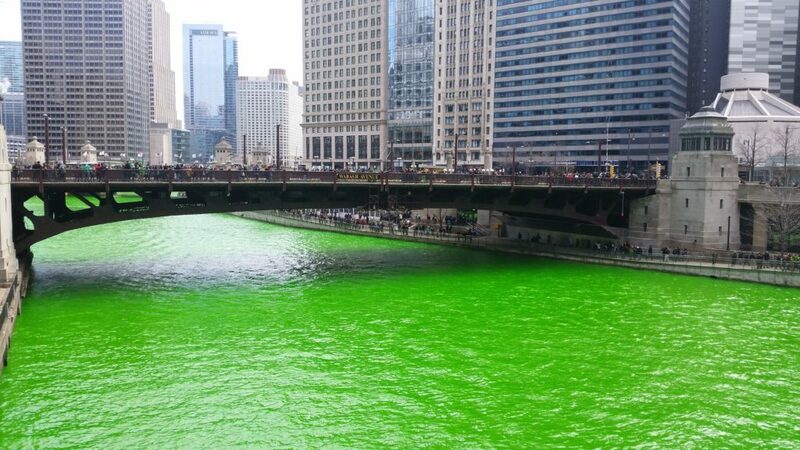 Tourism starts to pick up especially the weekend right before St. Patrick’s Day which is huge in Chicago. In late March, there are also more visitors in town because many schools have spring break at this time. By April weather has probably started to warm up a bit but the weather is unpredictable. April is one of the months with the most rain. Early April can be crowded because some students are still on spring break. May tends to be one of the most pleasant months in terms of temperature. It is a great time to visit Chicago before schools go on summer break and the busy summer season starts. Summer has started but the temperature is not too hot yet. Unfortunately, it is more likely to rain in June than later in the summer. Summer is peak season to visit Chicago- tourism starts to pick up and there are more festivals and events going on, especially outdoors. July is usually the hottest month in Chicago in terms of temperature and the weather might be very hot and humid. It is a busy time to be in Chicago with a lot of events and festivals going on. August is usually the second hottest month in Chicago in terms of temperature and the weather might be very hot and humid. It is a busy time to be in Chicago with a lot of events and festivals going on. I think September is the month with the best weather. The temperature is still usually warm and it is also the driest month so it is less likely to rain. If you enjoy summer activities with fewer crowds, early (but after Labor Day) to mid September is a great time to visit. Late September is still usually warm but it starts to get a bit cooler at night. October is also a great time to visit Chicago in terms of weather. The temperature has started to cool a bit so it is very pleasant to walk around and explore Chicago. Early October might still have summer like temperatures if you enjoy warm weather. If you enjoy moderate or cooler weather, November is a great time to visit. Weather can be a bit unpredictable, and although snow is rare, it is possible. Attractions are less likely to be crowded but starting after Thanksgiving tourism starts to pick up with visitors coming to Chicago to do holiday shopping and other holiday events. Winter has started so you might encounter very cold and snowy weather. Although it is winter, there are a lot of visitors to Chicago. If you are staying downtown, there will be traffic and it will be crowded with people doing holiday shopping or coming to Chicago for holiday events. Good Weather – Weather is very very unpredictable in Chicago especially in the spring and fall. While you can use the average temperature as a guideline what to expect, sometimes the weather can be much higher or lower than average for that time of year. The temperature can also change drastically from day to day and even hour to hour. For example, you can have a day with a high temperature in the 70s and the next day the weather is only in the 30s. The months that typically have the worst weather are January and February but winter can start as early as November and end as late as March or April. The months with the best weather in Chicago are typically late September and October when the weather is warm or moderate. If you are looking for more predictable temperatures I recommend visiting mid summer (July or August). when it guaranteed to be hot (but it might be as hot as the 90s or more pleasant temperatures in the 70s). Avoiding Crowds – Chicago is a popular tourist destination year round but if you want to avoid fellow tourists in the popular attractions visit in January and February. October and early November are also less busy because summer vacations are over but the holiday season has not begun. Low Prices – You are most likely to find hotel bargains in January and February because there are fewer tourists visiting Chicago. Foodies – While Chicago is a great place for food lovers year round, foodies might want to keep the following events in mind: Chicago Restaurant Week (January 25 – February 7, 2019) and Taste of Chicago (July 10-14, 2019). Music Lovers – While Chicago is a great place to listen to live music year round, Chicago has many outdoor music festivals in the summer (most of them are FREE!) including the following: Belmont-Sheffield Music Festival (May 25 – 26, 2019), Chicago Blues Festival (June 7-9, 2019), Lollapalooza (August 1 – 4, 2019), Chicago Jazz Festival (August 23 – September 1, 2019) and World Music Festival Chicago (September 13-29, 2019). Party Animals – If partying is your thing then you might want to visit Chicago during the weekend right before St. Patrick’s Day when people start drinking from the morning. Bars and clubs are busiest between St. Patrick’s Day and Halloween, during the winter months they are less crowded. Lots of bars and restaurants have outdoor patios and rooftops which are open only during the warmer months (May/June to September/October). I think Chicago is a great place to visit year round but overall most people would enjoy visiting Chicago in the fall because of the weather is still relatively warm and you can enjoy outdoor activities with fewer crowds because kids and students are back in school. If you prefer warm summer like weather, September is a great month to visit. If you like more moderate and pleasant temperatures, October and early November are great times to visit. Spring (especially May) is also a good time to visit for more pleasant temperatures. If you want to visit on a budget and want to avoid crowds, then you might want to visit in the winter but you might have to brave the cold and snow. 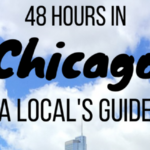 Ultimately when to visit Chicago depends on you so hopefully this guide has helped you make a decision on the best time to visit Chicago. If you are still not sure, feel free to ask me any questions in the comments below. Hello from France! Thanks for an inspiring post I was happy to look through. Me and my husband we are going to visit Chicago in October on business . We plan to spend 3 weeks there and we are searching something to spend our time on in our spare time. Festivals are ok, but we are in love with active ways of spending time. Maybe you know something special to pay attention to in October? 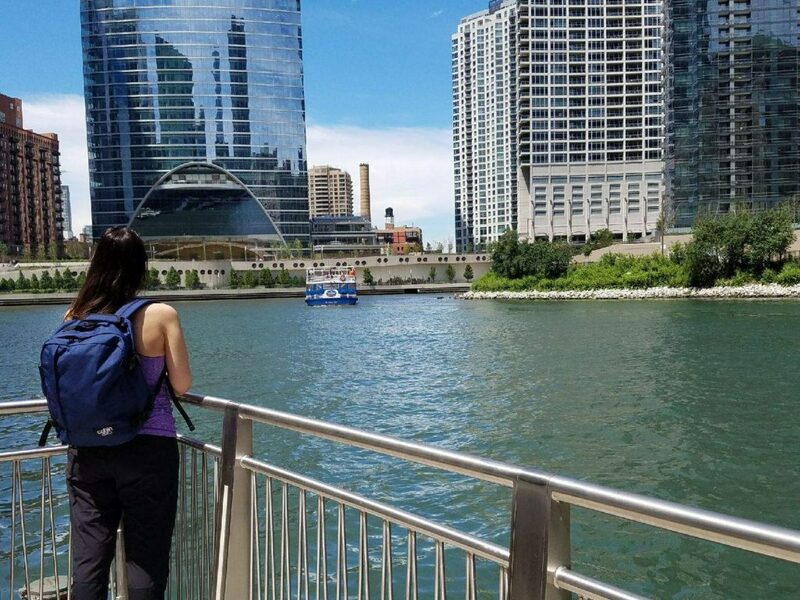 We found a lot of different activities like kayaking and sailing on https://rove.me/to/chicago and some cultural stuff on https://travel.usnews.com/Chicago_IL/Things_To_Do/ but maybe you know something really FAN-TAS-TIQUE? And how are the prices in this period? Thanks in advance! I visit Chicago frequently when I am flying into or out of the midwest. The last two years I visited in January/February. This year wasn’t too bad at all, but the year before it was brutally cold! I was living in Russia and Chicago felt 10 times colder, lol! But I agree that it is a nice time with fewer tourists and we got some good deals on hotels. I didn’t know you lived in Chicago!! That place has always been on my list of places I want to visit in the US! I am definitely taking note of the less busy times to visit! January and February actually works best for me!